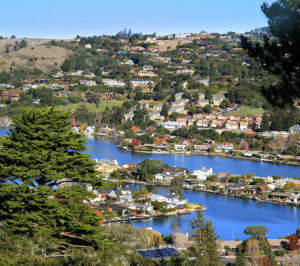 Though tiny in size – less than a single square mile – Belvedere, California’s hills, valleys, and spectacular views of the San Francisco Bay, combined with a population of predominantly seniors, makes it a popular destination for retirement. And for those who wish to age in place in our beautiful community, the Belvedere home care professionals at Hired Hands Homecare are on hand to offer as much or as little support as needed to help older adults stay safe, comfortable, and thriving. In addition to the services we provide in the home, our fully trained and experienced caregivers also offer the transportation and accompaniment seniors need when driving is no longer an option. This allows older adults to remain independent and as active and engaged in the world around them as they would like. It means being able to schedule medical appointments, trips to the beauty shop, visits with family and friends, and more according to each person’s desired schedule. It also means the opportunity to enjoy fun outings any time, and to any place, such as an educational afternoon at the Railroad & Ferry Depot Museum, a stroll in the sunshine through the Golden Gate National Recreation Area, a picnic lunch at Paradise Beach Park, or anything else that sparks joy and interest. Running errands as needed, such as grocery shopping, picking up dry cleaning and prescriptions, shopping for gifts for loved ones, etc. We realize that families have a wide range of options when it comes to selecting a home care solution for a senior loved one, and how challenging and overwhelming that process can be. We reassure families every day that partnering with Hired Hands Homecare is the best solution, since we’ve been helping seniors achieve a safer, more comfortable, and more active style of living since 1994. And we know that engaging the services of a Belvedere home care professional requires a great deal of trust, and can leave families feeling vulnerable and uncertain about their senior loved one’s safety and wellbeing. That’s why we go to great lengths to perform in-depth background checks and screenings, reference checks, and interviews, selecting only those caregivers who pass our rigorous requirements and that we would trust in caring for our own senior loved ones. We would love the opportunity to talk with you, in the comfort of your home, about the particular challenges your senior loved one is encountering, and to offer the resources and in-home care assistance you need. Contact our Belvedere home care team any time at 866-940-4343 to learn more.